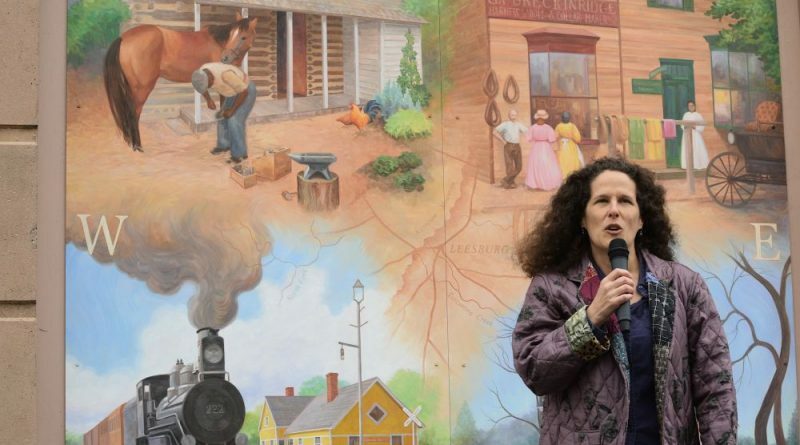 Artest Penny Hauffe speaks during the dedication of her mural depicting elements of Leesburg’s history. 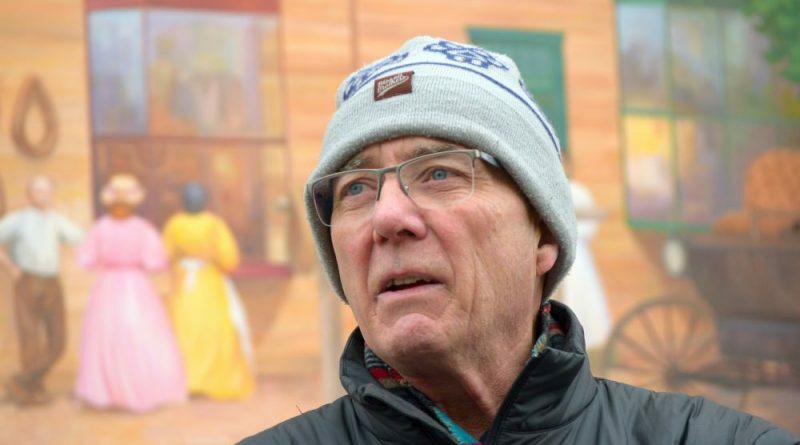 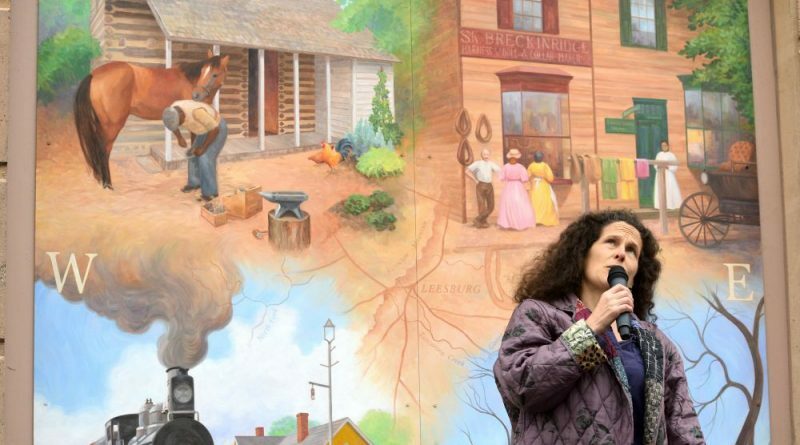 Gerry Waldron speaks during the April 7, 2018. dedication ceremony for Penny Hauffe’s mural depicting elements of Leesburg’s history. 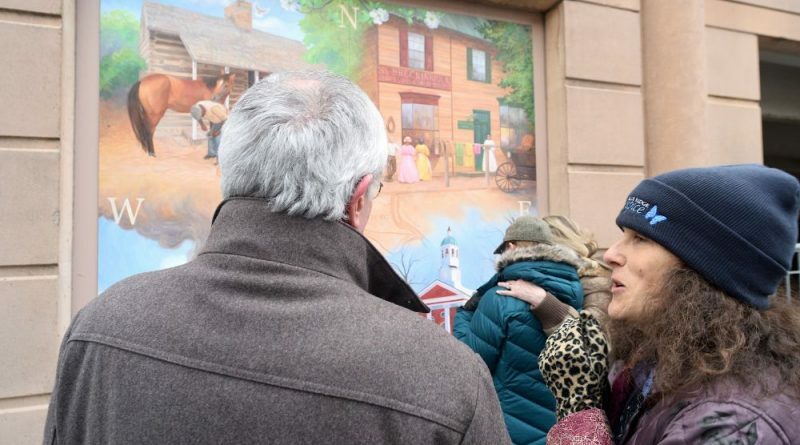 Participants in the April 7, 2018, dedication ceremony explore elements of Penny Hauffe’s mural depicting elements of Leesburg’s history. 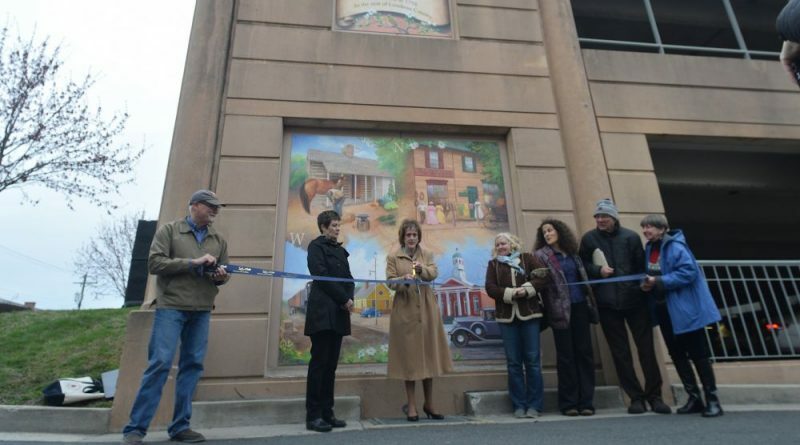 Mayor Kelly Burk cuts the ribbon during a dedication ceremony for Penny Hauffe’s mural depicting elements of Leesburg’s history. 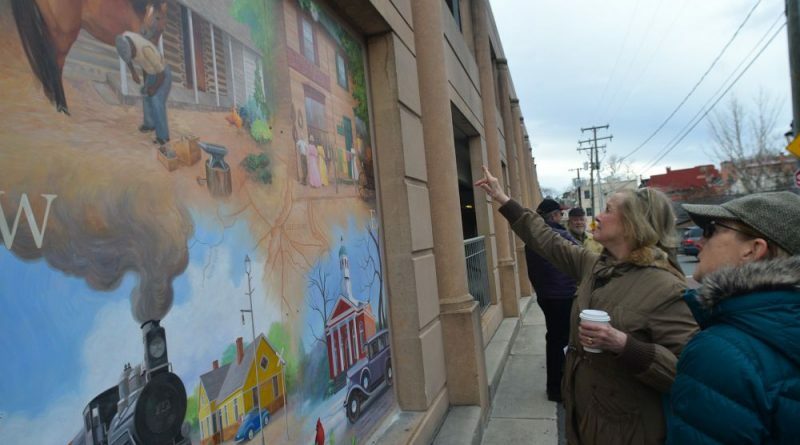 Artest Penny Hauffe answers questions about her mural depicting elements of Leesburg’s history. 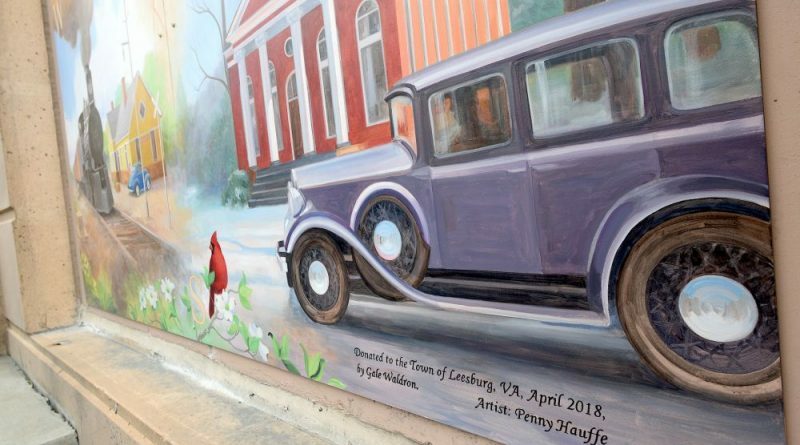 A a 1020s car passes in front of the courthous in Penny Hauffe’s mural depicting elements of Leesburg’s history.. 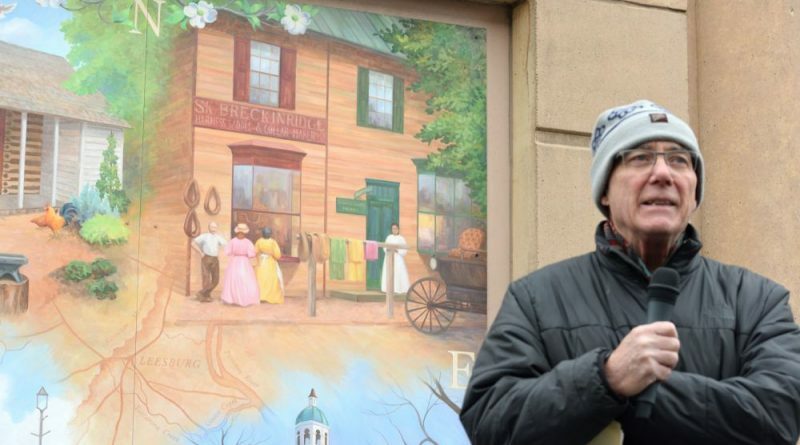 The dedication to Gale Waldron appears in the lower corner of the work.